When it comes to lead generation, you’ve probably got your bases covered with digital ads, SEO optimization, and lead generation. But what if your competitor’s customers could become yours? No, we’re not talking about poaching their satisfied clients. But what if you could introduce yourself to those already looking to leave your competitors? It was this strategy that led Formstack to create our competitor alternative campaign. We didn’t want to point fingers at our peers in the industry, but we wanted to offer our product as a viable alternative to those seeking a change. So, we drafted unique landing pages, such as our Wufoo alternative page. We include a comparison chart for easy scanning and highlight a few benefits we offer our customers. Then, we encourage visitors to start a free trial and try out our product on their own. 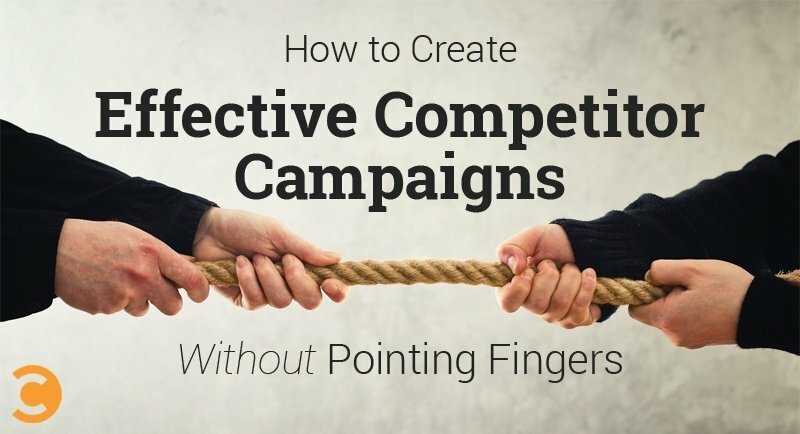 Here are a few things we learned about effective competitor campaigns that won’t endanger your reputation. Don’t just create landing pages that shout “We’re better than they are!” Another page that hypes your benefits doesn’t differentiate this campaign from the rest of your site. Instead, research the real differences between your product and its competition. Then, share your findings. On our Google Forms alternative page, we outlined the comparison, so users could easily see the differences between our tools. Since many products release new versions, it can be a challenge to keep up-to-date on every detail of your competitors’ products. Make it easy for their team to contact you if the data is incorrect. We do our best to represent our industry peers fairly, so if we’ve made a mistake, we want to know! We include a link underneath our comparison chart where visitors can report errors in our research. Anyone can use it to help us stay up-to-date on the facts. It’s doubtful your product is best for everyone. As you compile your research, consider who would benefit from the uniqueness of your product. Who are you the best tool for? Find your angle, and build your page for those customers. Let them know how your product solves their problems in ways your competitor cannot. There may be areas where your competitor offers features your product does not. The purpose of a competitor campaign is not to compare products point-by-point. That’s just boring! You want to share the situations where your product is a better fit. When we created our SurveyMonkey alternative campaign, we didn’t go head-to-head on building surveys. SurveyMonkey is a great tool for that purpose. Instead, we addressed customers looking to build more than one type of form. We spoke to those users seeking a SurveyMonkey alternative. An effective comparison campaign will craft a narrative highlighting your product for those who would most enjoy it. Honesty, even when revealing where your product is weaker, goes a long way in establishing trust and building customer confidence in your data. It’s not necessary to spotlight areas where your competitors outshine you, but you can share a balanced view. One of the earlier versions of our Wufoo alternative campaign offered a low-down on the pricing plans. Our tool cost a little more, which we shared openly. We didn’t want to hide the investment differences, but we offered it in context for what each tool offers. For those looking for our unique features, the comparison is helpful and clear. You’re not trying to steal your competitor’s customers. You are trying to introduce yourself to people already looking for an alternative. That’s why it makes sense to focus on keywords in competitor campaigns. Do the SEO research to find out what your customer base is searching when they are looking for a replacement for your competition. Then, be strategic in your copy to help them find you. Our initial creation of competitor campaigns actually came from the suggested Google Search. We learned that after simply “Wufoo,” the second search was “Wufoo vs Formstack.” It let us know that there was an interest in this topic but no page already addressing it head on. So we decided to create one! At the end of the day, you and your industry peers want happy customers. Competitor campaigns help dissatisfied clients find a company that better suits their needs. And if they ever need to switch again? We’re sure your other competitors will politely introduce themselves. Chris is the vice president of marketing for Formstack. He is passionate about setting the vision for Formstack’s marketing department, as well as discovering new ways to drive web traffic and leads.